You've traveled the distance of a football field. It sounds impressive. You've traveled far enough to walk to the top of the Eiffel Tower. If they let you, which they don't. They make you pay for an elevator. You've traveled far enough to reach the average flying height of a passenger jet. Buckle up! You've traveled far enough to walk the length of Manhattan. It's a nice day out, really. You've walked 500 miles. You will not walk 500 more. It's 2.6 million feet. Frankly, we're surprised you made it. We let a 10 year old play the game and he got to Floor 3 on his first try. So, nice work, Sport. You completed the tutorial! Thank you! If you read the manual, you're our hero. You made yourself a blandwich. Enjoy. Yum. You've made 25 Hero SotSwiches. That's good eatin'! You've repaired 20 pieces of your equipment. Nice work, soldier! You've repaired 50 pieces of your equipment and ladies find you handy. Kablam! Nice juggling, soldier! You killed four enemies with one grenade! Power to full. Systems online. Diagnostics read green. Let's stomp a scavenger bot. You tried your first mutagen! Can you move? Wow, that's a lot of bio-mods in your armor. If you survive, let's hit the clubs. You've used a bio-mod on your weapon! How's the aim? That's a lot of bio-mods in that weapon. Now hold it sideways when you shoot. That's even cooler. You've made it to the bottom of The Pit with the Engineer on Easy! You've made it to the bottom of The Pit with the Engineer on Normal! You've made it to the bottom of The Pit with the Engineer on Hard! You've made it to the bottom of The Pit with the Engineer on Insane! You've made it to the bottom of The Pit with the Scout on Easy! You've made it to the bottom of The Pit with the Scout on Normal! You've made it to the bottom of The Pit with the Scout on Hard! You've made it to the bottom of The Pit with the Scout on Insane! You've made it to the bottom of The Pit with the Marine on Easy! You've made it to the bottom of The Pit with the Marine on Normal! You've made it to the bottom of The Pit with the Marine on Hard! You've made it to the bottom of The Pit with the Marine on Insane! You've made it to the bottom of The Pit with all three character classes on Easy! You've made it to the bottom of The Pit with all three character classes on Normal! You've made it to the bottom of The Pit with all three character classes on Hard! You've made it to the bottom of The Pit with all three character classes on Insane! Geez! You've survived past Floor 5 on Easy. You've survived past Floor 5 on Normal. You've survived past Floor 5 on Hard. You've survived past Floor 5 on Insane! You've survived past Floor 10 on Easy. You've survived past Floor 10 on Normal. You've survived past Floor 10 on Hard. You've survived past Floor 10 on Insane! You've survived past Floor 15 on Easy. You've survived past Floor 15 on Normal. You've survived past Floor 15 on Hard. You've survived past Floor 15 on Insane! You've survived past Floor 20 on Easy. You've survived past Floor 20 on Normal. You've survived past Floor 20 on Hard. You've survived past Floor 20 on Insane! You've survived past Floor 25 on Easy. You've survived past Floor 25 on Normal. You've survived past Floor 25 on Hard. You've survived past Floor 25 on Insane! You've survived to Floor 30 on Easy. Which is OK.
You've survived to Floor 30 on Normal. You've survived to Floor 30 on Hard. You've survived to Floor 30 on Insane! You have scrabbled and saved and you have 2000 potential enemy deaths in your inventory. Nice work. NOW SHOOT SOMETHING, ALREADY! Hallo! How are you? You made yourself some chow while wearing full battle armor! You tried to fix a console or repair a hub and it exploded in your face. Which is funny as well as an important lesson to heal up before you start tinkering with stuff. The tutorial warned you and everything. You have whipped up 5 different food items! Scrumptious! You have successfully decrypted 25 messages! You have successfully decrypted 50 messages! You completed the updated tutorial! Don't forget, manual has lots of helpful information. You've survived past Floor 5, Seriously! You've survived past Floor 10, Seriously! You've survived past Floor 15, Seriously! You've survived past Floor 20, Seriously! You've survived past Floor 25, Seriously! You've survived to Floor 30, Seriously! You've made it to the bottom of The Pit with the Psion on Easy! You've made it to the bottom of The Pit with the Psion on Normal! You've made it to the bottom of The Pit with the Psion on Hard! You've made it to the bottom of The Pit with the Psion on Insane! You've made it to the bottom of The Pit with the Psion, Seriously! You've made it to the bottom of The Pit with the Ranger on Easy! You've made it to the bottom of The Pit with the Ranger on Normal! You've made it to the bottom of The Pit with the Ranger on Hard! You've made it to the bottom of The Pit with the Ranger on Insane! You've made it to the bottom of The Pit with the Ranger, Seriously! You've made it to the bottom of The Pit with the Scout, Seriously! You've made it to the bottom of The Pit with the Marine, Seriously! You've made it to the bottom of The Pit with the Engineer, Seriously! 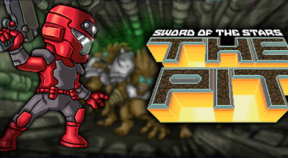 You've made it to the bottom of The Pit with the five character classes from The Pit and MindGames on Seriously! You've survived to Floor 35, Seriously! You've survived to Floor 40, Seriously! You wrapped a SotSwich in bacon. Who thinks like that? YOU DO! That's why you're awesome! You have acquired, in one game or another, all of the Psi powers! You have acquired, in a single game, all of the Psi powers! You've survived past Floor 35 on Easy. You've survived past Floor 35 on Normal. You've survived past Floor 35 on Hard. You've survived past Floor 35 on Insane! You've survived past Floor 40 on Easy. You've survived past Floor 40 on Normal. You've survived past Floor 40 on Hard. You've survived past Floor 40 on Insane! You have destroyed 500 mecha class creatures. You have died ten times before reaching level 15. You look like you could use some help. You have consumed 50 Bacon SotSwiches. Seek medical help. You have defeated 50 Specters. Was it just a mist or did they have arms and legs? You have killed 10,000 creatures. Maybe you were the monster... ALL ALONG! You have killed 500 rats. You've made it to the bottom of The Pit with the Striker on Easy! You've made it to the bottom of The Pit with the Striker on Normal! You've made it to the bottom of The Pit with the Striker on Hard! You've made it to the bottom of The Pit with the Striker on Insane! You've made it to the bottom of The Pit with the Striker, Seriously! You've made it to the bottom of The Pit with the Warrior on Easy! You've made it to the bottom of The Pit with the Warrior on Normal! You've made it to the bottom of The Pit with the Warrior on Hard! You've made it to the bottom of The Pit with the Warrior on Insane! You've made it to the bottom of The Pit with the Warrior, Seriously! You've made it to the bottom of The Pit with the Seeker on Easy! You've made it to the bottom of The Pit with the Seeker on Normal! You've made it to the bottom of The Pit with the Seeker on Hard! You've made it to the bottom of The Pit with the Seeker on Insane! You've made it to the bottom of The Pit with the Seeker, Seriously! You've made it to the bottom of The Pit with all eight character classes on Insane. Go home. Your intervention is waiting. Ah helped ya this once, Bullet Magnet. Now... can you do it by yourself? Ah man, what'd you do? Now you're a protean blob. Hopefully you'll find another Transmogrifier. You've made it to the bottom of The Pit with the Shepherd on Easy! You've made it to the bottom of The Pit with the Shepherd on Normal! You've made it to the bottom of The Pit with the Shepherd on Hard! You've made it to the bottom of The Pit with the Shepherd on Insane! You've made it to the bottom of The Pit with the Shepherd, Seriously! Dominate 200 enemies as Shepherd. Instill Fear in 500 enemies as Shepherd. Rid the world of 200 M'kkose. Cause Pain in 100 enemies using Paingiver knife. Kill 100 enemies with tailswipe attack. Equip Imuki PBA and Shaka'Sal rifle. You've made it to the bottom of The Pit with the Mercenary on Easy! You've made it to the bottom of The Pit with the Mercenary on Normal! You've made it to the bottom of The Pit with the Mercenary on Hard! You've made it to the bottom of The Pit with the Mercenary on Insane! You've made it to the bottom of The Pit with the Mercenary, Seriously! Ho ho holy crap! You killed a Gronch! You've made it to the bottom of The Pit with the Lich on Easy! You've made it to the bottom of The Pit with the Lich on Normal! You've made it to the bottom of The Pit with the Lich on Hard! You've made it to the bottom of The Pit with the Lich on Insane! You've made it to the bottom of The Pit with the Lich, Seriously! Equip the Sarcophagus Plate armor and the Harvester weapon. You have created 100 necrominions. Drain 2000 health from enemies. Just a few days of holiday fun. That's all. But you had to turn it off early. You Grinc... GRONCH! We meant Gronch. You've made it to the bottom of The Pit with the Medic, Seriously! You've made it to the bottom of The Pit with the Medic on Easy! You've made it to the bottom of The Pit with the Medic on Hard! You've made it to the bottom of The Pit with the Medic on Normal! You've made it to the bottom of The Pit with the Medic on Insane! Drain 10,000 health from enemies. Equip the Asclepius Exoplate armor as the Medic. Revive using the Emergency Regenerator­ a total of 13 times. Recover 10,000 health from medical treatment. Even The Pit can provide an evening of fun for the whole family!